This week was tough on the Big Red Cars That Are Probably Trouble But Really I Wouldn't Mind front. 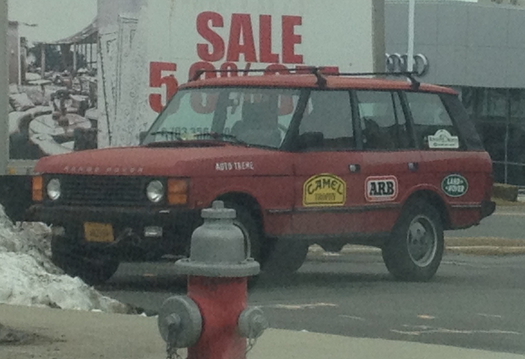 First I spotted this great Range Rover Classic in Camel Trophy livery. Tobacco sponsorships and tearing up rain forests are both taboo now, of course, but I really wish this could be grandfathered in somehow. Maybe buy some carbon offsets, and take the Camel logo off the side facing the preschool pickup? 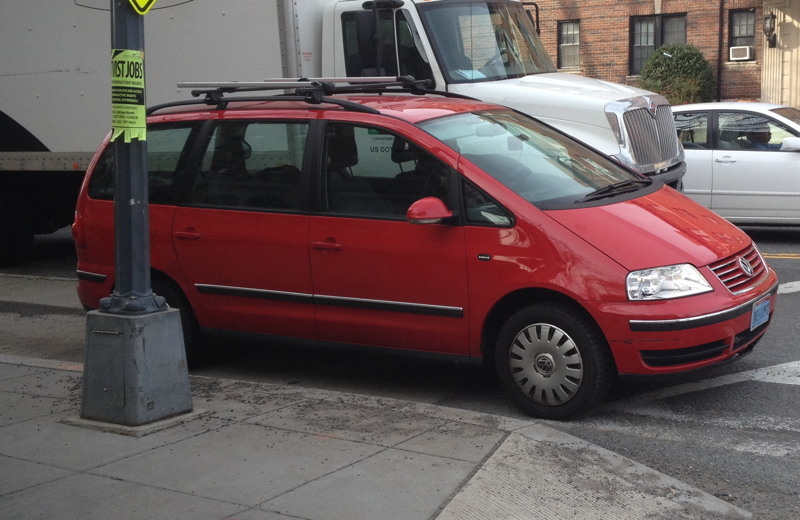 On a more subdued note, yesterday a diplomat pulled up right in front of me and flaunted her EPA/DOT immunity with her VW Sharan. 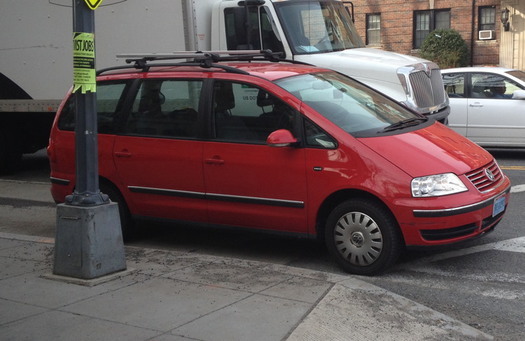 Available everywhere but North America, the fine-looking, 7-seat Sharan is the metric system to the VWTF Routan's Imperial. But no worries, an intrepid auto journalist must have asked about bringing back the Microbus, because VW said they're thinking about bringing a van to the US. Which is what they've been saying for 15 years, at least. Whatever.